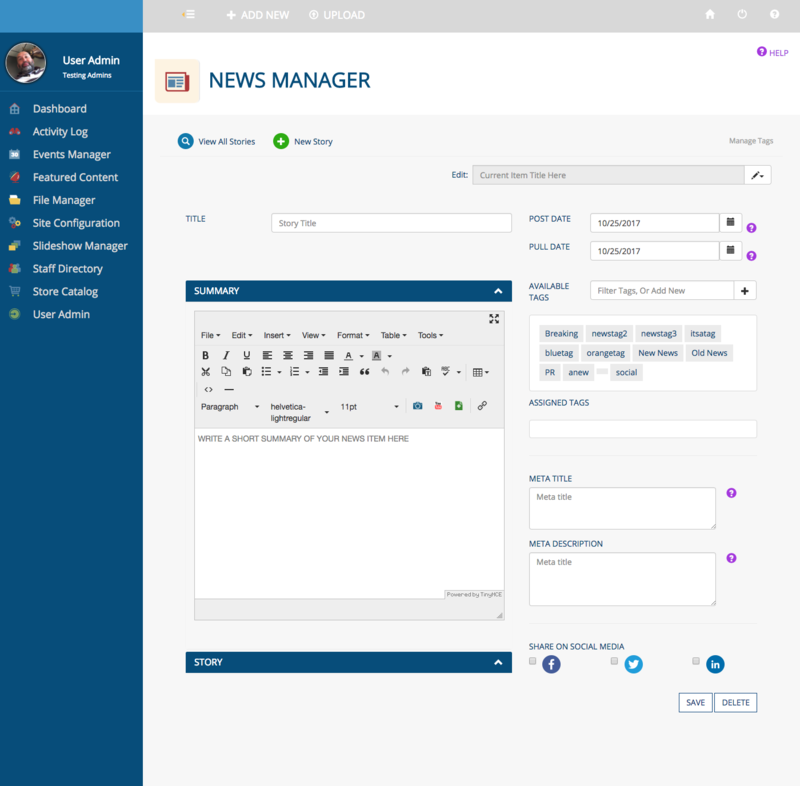 Visit the News Manager by selecting it in the app menu or by visiting the Dashboard and selecting it there. 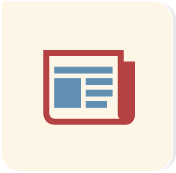 Use this app to present your organization's news to your website users. Each listing (C) tells you when the story was posted and by whom. Edit or delete a story with the icons (D) at the far right. You also can edit a story by clicking its title (E). Return to this page by clicking VIEW ALL STORIES (F) from any page within the app. Click NEW STORY from any page in the News Manager app. 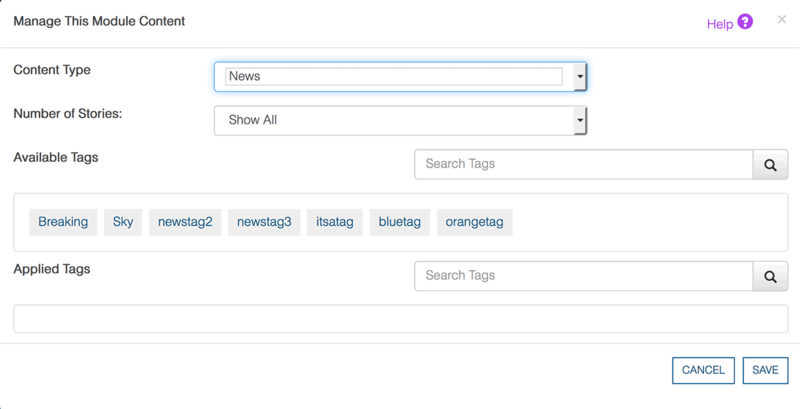 Select the POST DATE and PULL DATE to determine when the story will appear on your site. 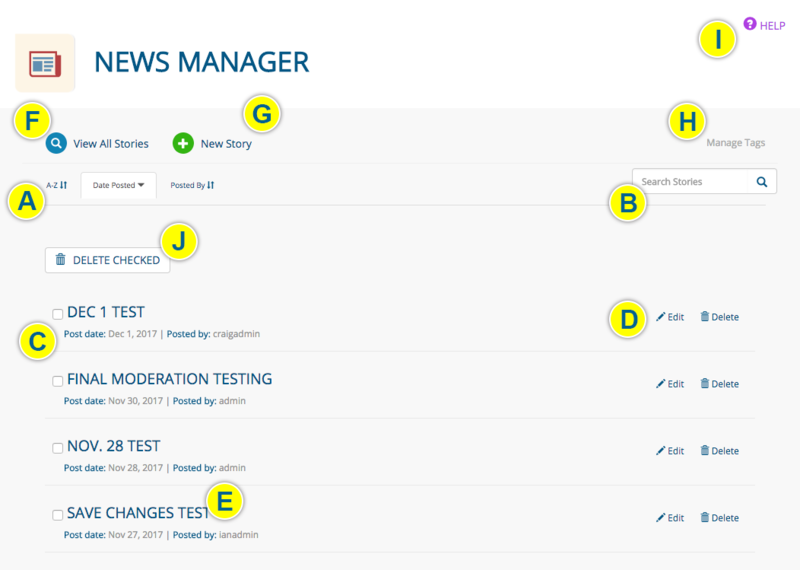 Click each respective blue bar to reveal the page editor to enter the SUMMARY and STORY. The SUMMARY should be one or two sentences that will entice a website user to read the full story. It will appear on your News landing page, which consists of each story summary and a link to the corresponding full story. Click the SAVE button when you are finished creating/editing your story, or the DELETE button to delete it.